Thanks to the Wolfpack Citizen Science Challenge–a collaboration between the College of Sciences, the College of Natural Resources, and the NCSU Libraries, students, faculty, and staff can borrow camera traps to make discoveries about the mammals that live right here on campus. Groups of two to four volunteers will use their borrowed camera traps to collect data about animal activity. These camera traps silently take photos when their motion sensor is triggered by animal movement. An infrared flash allows the unit to capture animal activity at night without disturbing them. Each team will lock their camera trap to a tree at a specifically assigned location, and after three weeks, they will retrieve their camera traps, examine the images, and identify the animals, using custom desktop software to upload their pictures to the eMammal database. 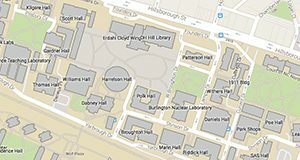 Starting August 17, NC State community members can sign-up here. Volunteer teams will complete an online training program, receive their specifically assigned location, and borrow a camera trap from the Natural Resources Library. Volunteers who complete their assignments will receive a Wolfpack Citizen Science Challenge t-shirt and a chance to win a Reconyx HyperFire Professional Covert Camera Trap. Additional prizes will be given to the best stories and images shared on social media using the hashtag #WolfpackCitSci. 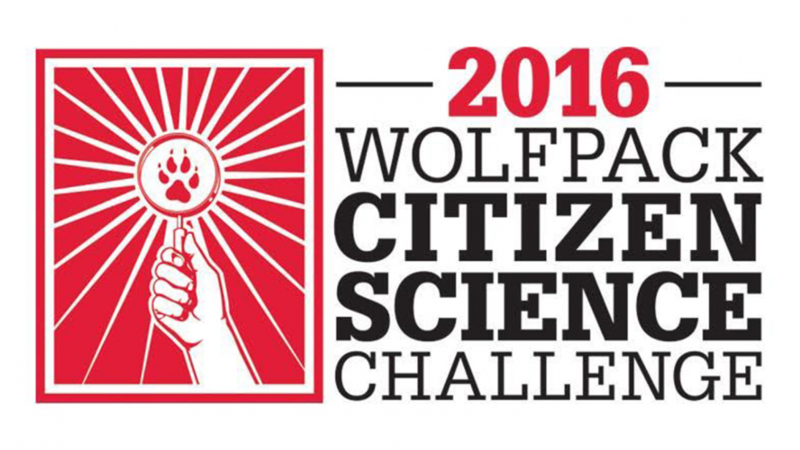 For more details about the Wolfpack Citizen Science Challenge and related events, visit the website here.